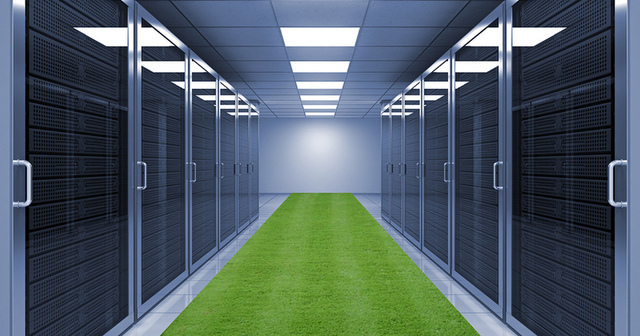 It's nice to imagine the cloud as an idyllic server room—with faux grass, no less!—but there's actually far more going on than you'd think. Maybe you're a Dropbox devotee. Or perhaps you really like streaming Sherlock on Netflix. For that, you can thank the cloud. In fact, it's safe to say that Amazon Web Services (AWS) has become synonymous with cloud computing; it's the platform on which some of the Internet's most popular sites and services are built. But just as cloud computing is used as a simplistic catchall term for a variety of online services, the same can be said for AWS—there's a lot more going on behind the scenes than you might think. If you've ever wanted to drop terms like EC2 and S3 into casual conversation (and really, who doesn't?) we're going to demystify the most important parts of AWS and show you how Amazon's cloud really works. Think of EC2 as the computational brain behind an online application or service. EC2 is made up of myriad instances, which is really just Amazon's way of saying virtual machines. Each server can run multiple instances at a time, in either Linux or Windows configurations, and developers can harness multiple instances—hundreds, even thousands—to handle computational tasks of varying degrees. This is what the elastic in Elastic Cloud Compute refers to; EC2 will scale based on a user's unique needs. Instances can be configured as either Windows machines, or with various flavors of Linux. Again, each instance comes in different sizes, depending on a developer's needs. Micro instances, for example, only come with 613 MB of RAM, while Extra Large instances can go up to 15GB. There are also other configurations for various CPU or GPU processing needs. Another reason why a developer might deploy EC2 instances across multiple availability zones and regions is for the purpose of load balancing. Netflix, for example, uses a number of EC2 instances across multiple geographic location. If there was a problem with Amazon's US East center, for example, users would hopefully be able to connect to Netflix via the service's US West instances instead. But what if there is no problem, and a higher number of users are connecting via instances on the East Coast than on the West? Or what if something goes wrong with a particular instance in a given availability zone? Amazon's Elastic Load Balance allows developers to create multiple EC2 instances and set rules that allow traffic to be distributed between them. That way, no one instance is needlessly burdened while others idle—and when combined with the ability for EC2 to scale, more instances can also be added for balance where required. Think of EBS as a hard drive in your computer—it's where an EC2 instance stores persistent files and applications that can be accessed again over time. An EBS volume can only be attached to one EC2 instance at a time, but multiple volumes can be attached to the same instance. An EBS volume can range from 1GB to 1TB in size, but must be located in the same availability zone as the instance you'd like to attach to. Because EC2 instances by default don't include a great deal of local storage, it's possible to boot from an EBS volume instead. That way, when you shut down an EC2 instance and want to re-launch it at a later date, it's not just files and application data that persist, but the operating system itself. Unlike EBS volumes, which are used to store operating system and application data for use with an EC2 instance, Amazon's Simple Storage Service is where publicly facing data is usually stored instead. In other words, when you upload a new profile picture to Twitter, it's not being stored on an EBS volume, but with S3. S3 is often used for static content, such as videos, images or music, though virtually anything can be uploaded and stored. Files uploaded to S3 are referred to as objects, which are then stored in buckets. As with EC2, S3 storage is scalable, which means that the only limit on storage is the amount of money you have to pay for it. Buckets are also stored in regions, and within that region “are redundantly stored on multiple devices across multiple facilities.” However, this can cause latency issues if a user in Europe is trying to access files stored in a bucket within the US West region, for example. As a result, Amazon also offers a service called CloudFront, which allows objects to be mirrored across other regions. While these are the core features that make up Amazon Web Services, this is far from a comprehensive list. For example, on the AWS landing page alone, you'll find things such as DynamoDB, Route53, Elastic Beanstalk, and other features that would take much longer to detail here. However, if you've ever been confused about how the basics of AWS work—specifically, how computational data and storage is provisioned and scaled—we hope this gives you a better sense of how Amazon's brand of cloud works. Correction: Initially, we confused regions in AWS with availability zones. As Mhj.work explains in the comments of this article, "availability Zones are actually "discrete" blocks of infrastructure ... at a single geographical location, whereas the geographical units are called Regions. So for example, EU-West is the Region, whilst EU-West-1, EU-West-2, and EU-West-3 are Availability Zones in that Region." We have updated the text to make this point clearer. Amazon has struck a deal with 11,000 U.S. libraries that lets Kindle owners borrow ebooks from the increasingly high-tech institutions. The company said Kindle books accessed through this method will boast a suite of social networking support, including Facebook and Twitter. Additionally, Amazon’s own Whispersync app is supported – which means benefits readers previously needed to scuff up books to enjoy, such as bookmarking and highlighting important passages, are freely available. “Starting today, millions of Kindle customers can borrow Kindle books from their local libraries,” said Jay Marine, Amazon Kindle director. Marine called libraries “a critical part of our communities” and touted the announcement as an important step in bridging an ever-widening gap between the old and the new. According to Amazon, the process itself is quick and easy. Members whose local libraries include the online OverDrive service can visit their official sites and select a title for download. Both an Amazon.com account and active library card are required. Transactions are completed over a Wi-Fi connection or USB transfer. Those without a Kindle can still take part in the program by downloading the company’s free Kindle app on a bevy of other devices, including iPad, BlackBerry and the PC Kindle Cloud Reader. The closure of Borders stores across the country and the growing popularity of digital media consumption among e-reader and tablet owners may not spell utter doom for paper-bound books, but the convenience of downloading them from your home into a single device is hard to ignore. Amazon’s agreement with libraries proves as much. The tough part now is getting more people to actually read. Sadly, there’s no app for that.